Making your own holiday yard decorations is a great way to add festive style to your lawn and show off your creativity at the same time. There's no reason to pay for patterns or instructions. Get the whole family involved in these fun free projects, and celebrate the holiday spirit together. 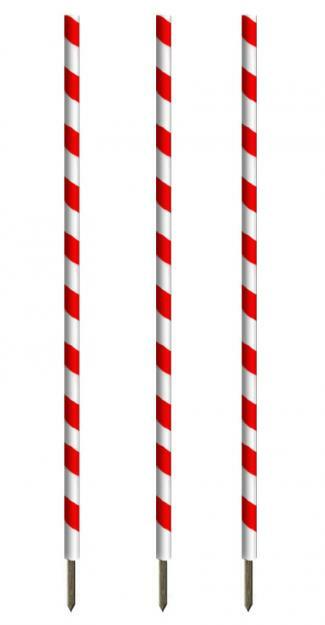 Nothing says Christmas quite like a stick of peppermint candy, and you can easily make your own giant peppermint sticks with a few simple supplies. Line your front walkway or driveway with the sticks to give your home instant holiday appeal. Measure each length of PVC pipe and mark at five feet. Cut each PVC pipe where you marked. Duct tape a stake to the bottom of each pipe to allow it to stand upright in the ground or snow. Apply painter's tape to the PVC pipe in a spiral pattern. In a well-ventilated area, use the red spray paint to apply color to the pipes. Use multiple coats if needed to get the desired effect. Allow the paint to dry thoroughly. When the pipes are dry, remove the painter's tape to reveal the peppermint stick design. Stand the pipes upright in the desired location by driving the stake into the snow or ground. You'll be proud of this easy and festive holiday sign. All you need are a few pieces of wood and some wooden craft letters. Place each letter face down on a work surface. Use the power drill to attach a yard stake to the back of each letter. Be sure to secure the stake with two screws to keep the letter from turning. Turn the letters over. In a well-ventilated area, spray paint them red. Allow them to dry thoroughly. 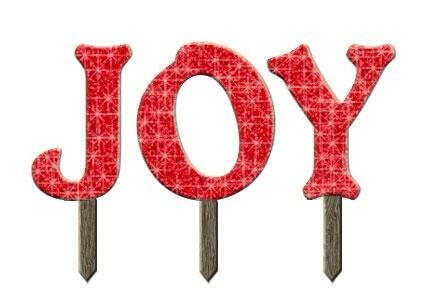 When they are dry, drive each stake into the ground or snow to spell out the word "joy." Learn how to make tealight holders from paper bags. Luminaries like these are a fun way to create yard decorations for the holidays, and they are an easy craft to make. Find out how to make giant Styrofoam lollypops for your yard using the handy instructions from Glorious Treats. Choose Christmas colors for a festive look. Make your own log reindeer from DIY or Not. These adorable deer look cute with Christmas ribbons tied around their necks. Create ice luminaries using these instructions from Better Homes and Gardens. They will look magical lining your walkway. Discover how to create a unique Christmas welcome sign from the blog Honey We're Home. No matter which free Christmas craft project you choose to make, your house will look festive this holiday season. What's more, you'll be able to take pride in your creativity when friends and neighbors compliment your decor.